and classmates who have left this earth. Suggested donation is $10 each or two for $15. A portion of these funds will be donated to a local pantry in our neighborhood to help sustain food supplies in the upcoming year. 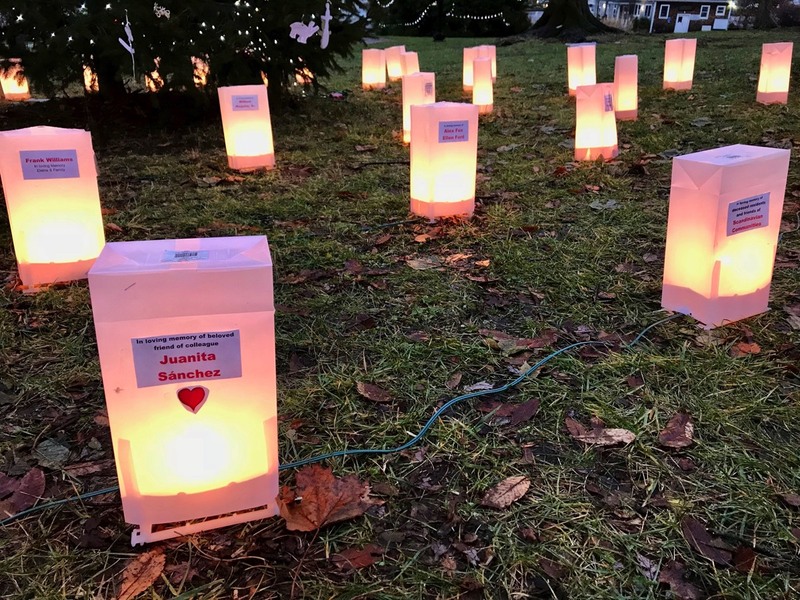 There are 0 luminarias currently available to sponsor. We are looking for volunteers to help us set them up, maintain them and then to take them down in January. Contact us if you can help in any way. A total of forty (50) flameless luminarias are available to sponsor. To pay for your donation, click on the PayPal button above to pay online. Be sure to use the “comments” section to write a note/dedication so we can place it on your luminaria in advance. If you prefer to write your own note, let us know and we will have cards available on the day of the lighting. Celebrate the life of a lost loved one during the holidays. 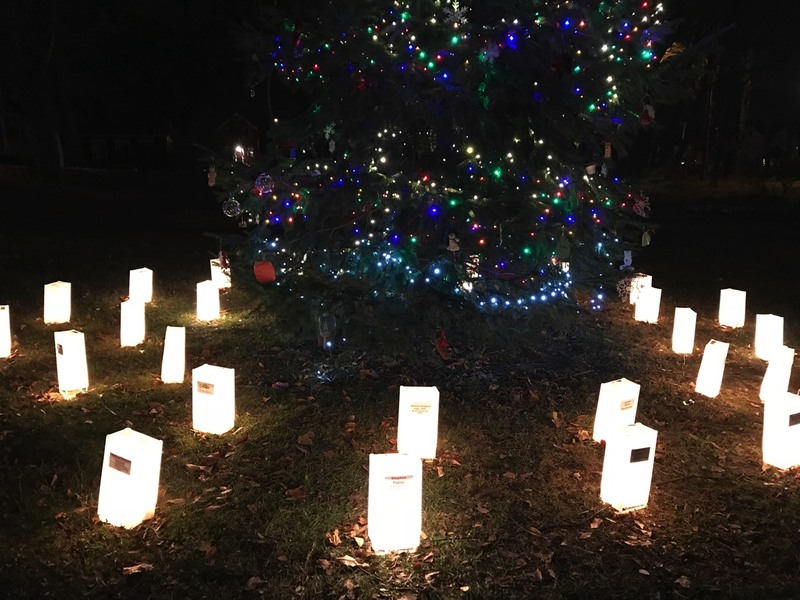 Luminarias are placed around the base of the Pawtuxet Village Christmas Tree to symbollize the Circle of Life and Points of Light that bring Hope. 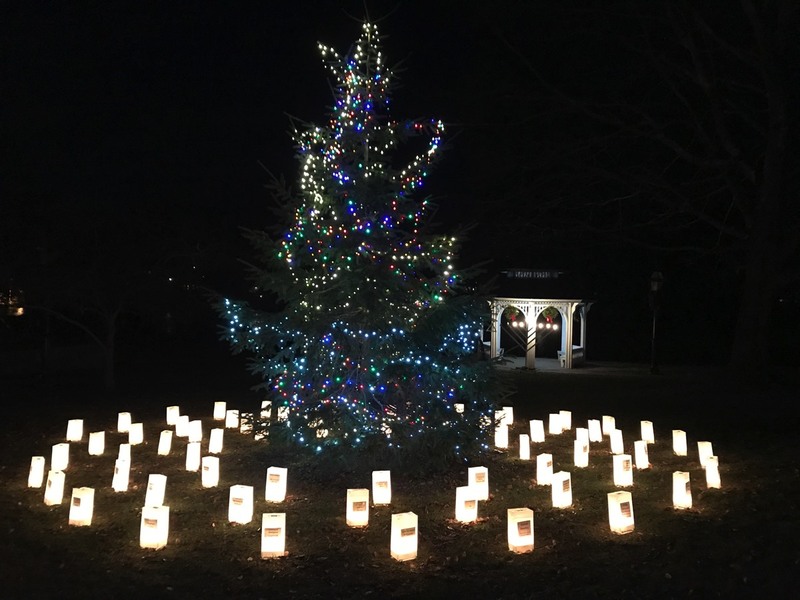 Here are the details: On Saturday, December 1, 2018, plan to arrive around 5:15pm where we will gather for a moment of remembrance in Pawtuxet Park, just prior to the lighting of the Christmas Tree. You are welcome to bring your own lantern and/or candle, sit on a bench and watch the lights around the tree, or light a candle and be with us in spirit. We will supply flameless luminarias, but you can bring lighted candles at your own risk. 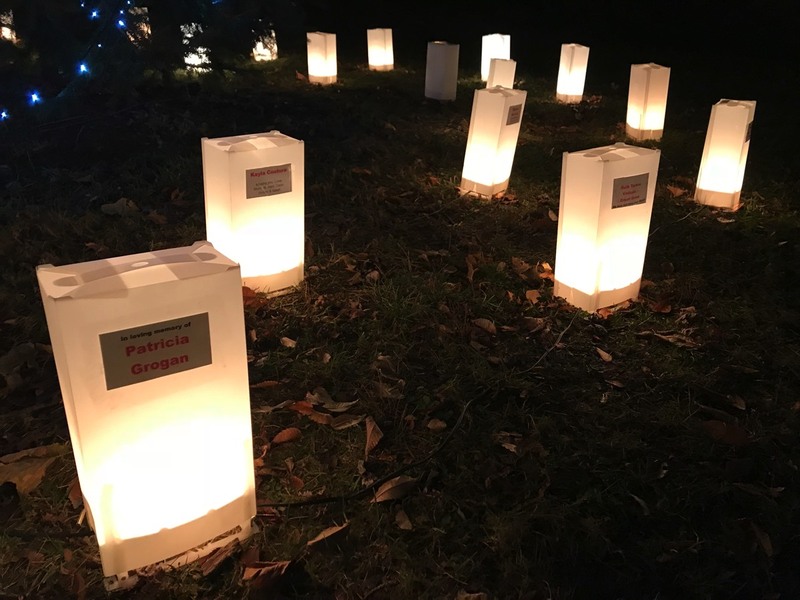 The sponsored lanterns will be displayed and maintained by volunteers to stay lit at the park through December 31st (we will take them down on New Year's Day). Lanterns that are not sponsored will remain in the park until the candles or lights go out on their own. Come back often during the month of December to see the beauty of the lights and enjoy a moment of meditation.